Mon., July 23, 2018, 5:19 p.m.
NEW YORK – The WNBA has suspended Phoenix Mercury guard Diana Taurasi one game without pay after she received her seventh technical foul of the season. 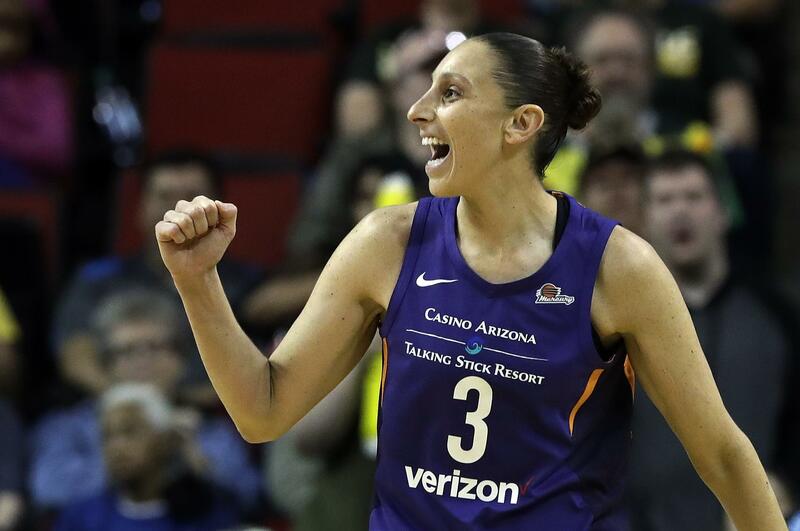 The suspension, announced Monday, came after Taurasi received two technical fouls and was ejected for arguing a call in the second quarter of Saturday’s game against the Minnesota Lynx. She will serve the suspension when the Mercury host the Chicago Sky on Thursday. Under WNBA rules, a player or coach is automatically suspended a game without pay after receiving seven technical fouls during the regular season. Each additional two technical fouls would result in another game suspension. Taurasi has been suspended a game for receiving seven technical fouls twice before, in 2016 and 2013. She also reached her ninth technical foul in 2013 and was suspended an additional game. Published: July 23, 2018, 5:19 p.m.